Since September 2018 I am working as a post-doc at the National Observatory of Athens, splitting my time between Athens, the capital of Greece, and Heraklion in the magnificent island of Crete. This website serves practically as a personal (collective) online log/notebook about my whereabouts in Astronomy, occupying most of my everyday(/night) life. However, starting around the beginning of 2017, I decided to include (with time) some more stuff from other activities (I am not just an astrophysicist! 🙂 ). Feel free to tour around and you may find something interesting or useful perhaps, if not … what the frak … nobody is perfect! Since September 2018 I am affiliated with the Institute for Astronomy, Astrophysics, Space Applications and Remote Sensing of the National Observatory of Athens. I am working with Dr. Alceste Bonanos to uncover the populations of massive evolved stars with plenty of dust in a number of galaxies in order to probe their mass loss (the ASSESS project: “Episodic Mass Loss in Massive Stars: Key to Understanding the Explosive Early Universe”). From October 2017 to August 2018, I was working on high-mass X-ray binaries with Andreas Zezas at the Foundation for Research and Technology – Hellas (FORTH) and the University of Crete. Previously, I spend 9 months working at the Institute for Physics and Astronomy, of the University of Valaparaiso, Chile with Michel Curé, and 2.5 years as a post-doc researcher at Stellar Physics Department of the Astronomical Institute of the Czech Academy of Sciences with Michaela Kraus. My main focus had been massive stars and, in particular, how they lose mass in specific evolutionary phases (such as yellow hypergiants, B[e] supergiants, luminous blue variables) and form their environment. I obtained my PhD in September 2014 from the Physics Department of the University of Crete (Heraklion, Greece) under the guidance of Andreas Zezas, working on High-Mass X-ray Binaries in the Small Magellanic Cloud and our Galaxy. > Other interests include Professional-Amateur networking and collaborations, and Openness in Astronomy. 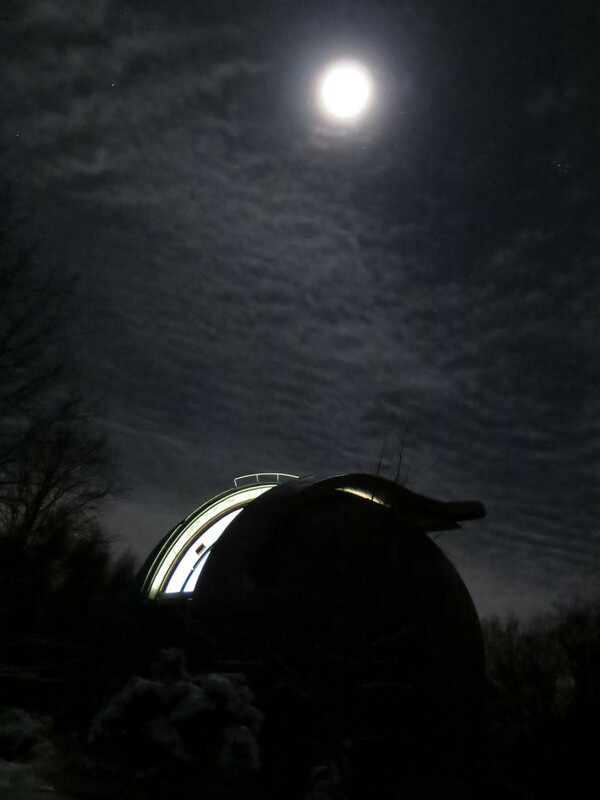 Night view of the Ondrejov Observatory (Czech Republic). 27 mySQL queries in 0.288 seconds.